Any way to enjoy the rain? Since the weather has gotten warmer I have driven my Z06 maybe 1-2 times. I like driving it, but the problem is the horrible weather. I don't leave my house to go to my job, so I don't have a daily commute but when it's raining and nasty out I prefer to just take my truck. It seems pointless to drive the Z in the rain since I'm not going to be able to really accelerate much, and if I'm just going to be puttering along what difference is there in what you're driving? Don't get me wrong, when it's nice out nothing I've driven beats it for enjoyment. Is there a way to actually enjoy this car in the rain? I leave it outside (no garage) but besides it being not that much fun when it's wet out I also don't like to drive it when I know it's raining since it likes to sling dirt all over the sides of the rear bumper. Not a fan at all of any of the mud guards either as they ruin the flow of the car's looks. It also doesn't help that in my area I've seen so many idiots wreck in the rain, I'd rather be in my truck than risk the Z getting smashed up or myself getting injured. It's a depressing thought since I've always wanted to own a Z06 but I didn't really think about the logistics of actually driving it every time you go out even in rainy conditions. I'm starting to wonder now if this is going to be such a problem if I shouldn't consider looking at something performance that's AWD, not that I have any idea what it would be. Any suggestions on how I can enjoy this car in the rain, or is this a problem that Vettes (or honestly, any RWD performance car) just have to deal with? Is there a way to actually enjoy this car in the rain? 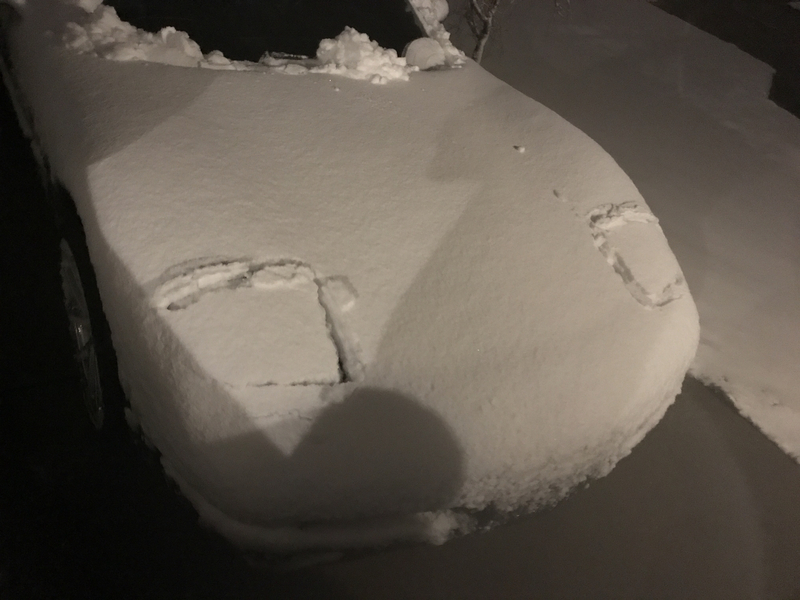 It won't melt and will drive fine in the rain. That's why God made windshield wipers. Last edited by Nyt_Muves; 05-07-2017 at 07:33 PM. ......unless the wiper motor, body control module or certain electronics get wet. 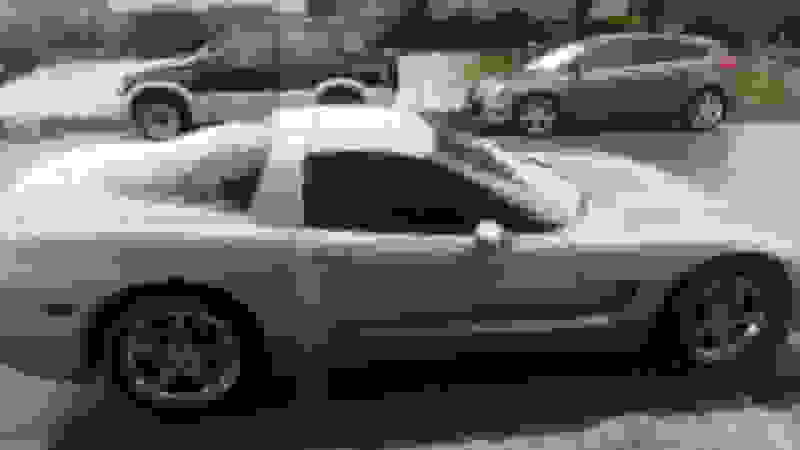 My C5 was my only car for about 12 years. I will never understand the irrational fear people have of driving a rear wheel drive car in the rain. If your tires are decent you will be fine. Track day, skid pad, parking lot 2am. That would be true of any car. I do run all season tires, currently BFGOODRICH G-FORCE COMP-2 A/S Ultra High Performance All-Season. Not so much. How many cars have the main electronic module under the floorboard that sometimes get wet. There are pages of threads where C5s get wet and it leads to major problems. Not the best rain car. Just a note, summer tires are better in the rain than all season tires. All season tires are made to run in snow. Well, I did explain why. I'm not some old man who is scared of getting water on my car (it sits outside and gets rained on all the time). It gets especially dirty driving through the rain. Not the end of the world, but I feel like I have to wash this car enough just driving it without driving through rain. What am I doing with 405 HP when it's raining but barely eeking any of that out? Going fast in the rain seems like a stupid idea in general, though doing so in a RWD car does seem worse than doing it in a FWD/AWD/4WD vehicle. My truck is actually pretty pathetic in the rain thanks to the torquey engine and light rear end, but I can turn on 4HI and resolve that issue if it gets real bad. Idiot other drivers just do not know how to drive. I am left puzzled when I see a FWD car that has gone off the road or is up against a guard rail. How you wipe out in a FWD car escapes me, they're hard to drive wrong unless you're trying to go fast through a corner or something and get awful understeer. I'm not so crazy about being in a 2003 anything when the odds are higher some idiot might crash into me because they didn't realize it takes longer to stop in the rain (My truck is a 2015). Unless there's some piece I'm missing, for me it doesn't sound like the Corvette is anything I would get much out of in the rain regardless of the fact that it can do so just fine (which wasn't really my point). Last edited by BigBossMY03Z; 05-07-2017 at 08:41 PM. Hydroplaning does not not care if your car is FWD or rwd. If you start to hydroplane and don't react properly, you will crash. Even in an awd car. The reason for most hydroplane accidents is people touching the brakes when the car starts to hydroplane, it is irrelevant which tires receive power, because they aren't generally applying power when there's a hydroplane situation. Get good tires that can handle the weather and you can use pretty much all of second gear without spinning. When my tires were new they wouldn't spin rolling into second gear at all. If you have traction issues in 2nd and 3rd with stock power levels, your tires aren't designed for rain or they're too worn out. If if you're making the decision that you don't want to risk someone else causing you to be in an accident, then no, there is nothing you can do to enjoy driving this car in the rain. Not sure what the car being a 2003 vs your truck being a 2015 has to do with anything, but again that's your decision. Getting an awd performance car car will leave you just the same as you are now, worried about other drivers despite your car being fine in the rain. The year was more to do with safety advancements. 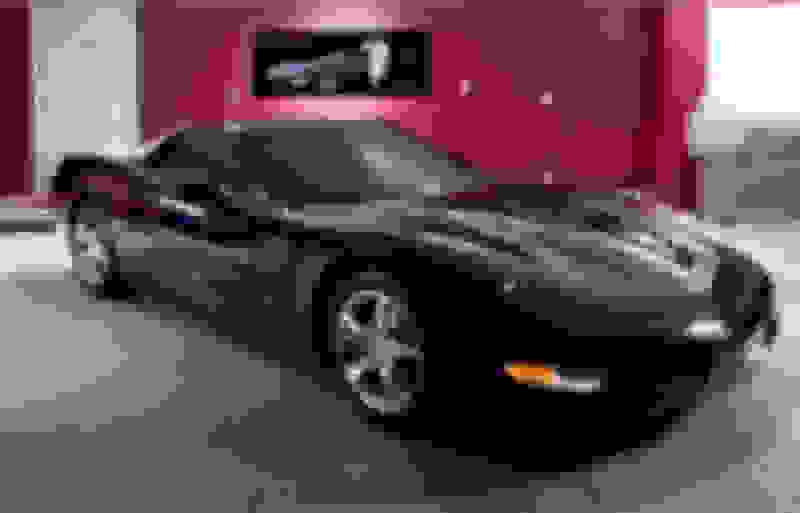 I know the answer to that is "Buy a newer Corvette", but the price of a C5Z is quite a bit less than a C7. I get hated on for this by most car enthusiasts I've ever mentioned it to, but I am rather conscious of the safety of my car. It's a calculated risk for me driving the Z06 to be extra cautious of other drivers, but it is bright yellow and soon will be loud so it will be the most I can do to make it safe that I can. I actually just put new tires on it, so I'm sure it drives fine in the rain. But how does one "enjoy" a sports car in the rain? Normally I get on it a little, not too much but wind the gears out some. If I tried the same in the rain I'm sure traction control would cut in, and knowing me I'd just baby it not wanting to cause that to come on again (I am not turning it off, I just had the EBCM fixed so I had traction control again). No idea what those guys running a Hellcat or a GT350 do in the rain, I imagine they would also be in neutered mode. I've driven mostly FWD cars, so I'm just used to the worst thing happening being a little bit of front end dancing around. It never terrifies people the way something like my truck does when the back end goes out just a bit. I appreciate all the merits of RWD, but it seems high power and especially light weight detract from traction and thus enjoyment in low traction situations. Do you all really just drive it through all that? yes, I drive through all of that. With good tires I had full traction when rolling on the power in 2nd gear. If you're going around a turn and mat the throttle you'll start to slide, but you can still drive for fun in the rain without sliding. Leave all nannies on and on and go for a drive to see how much you can accelerate before they start to kick in. You may be surprised. Mine didn't melt today. This was in SoCal so I'm pretty sure this is a first for this car. Maybe more fun in the rain than when it's dry. Last edited by Whiteonrice; 05-07-2017 at 09:28 PM. I daily drive my Z, rain or shine, spring to fall. Rain might slow things down a bit, but the car is still very fun to drive. If you prefer a truck (not a truck guy) in the rain however, drive it. To each their own; no harm. While it's not under the most ideal driving conditions, you can still enjoy a nice cruise in your car when it's raining. Yes, the car will get dirty and cleanup will take a while longer, but the way I look at it is the cleanup is a form of therapy. I'm starting to wonder now if this is going to be such a problem if I shouldn't consider looking at something performance that's AWD, not that I have any idea what it would be. Not sure I fully understand the question? 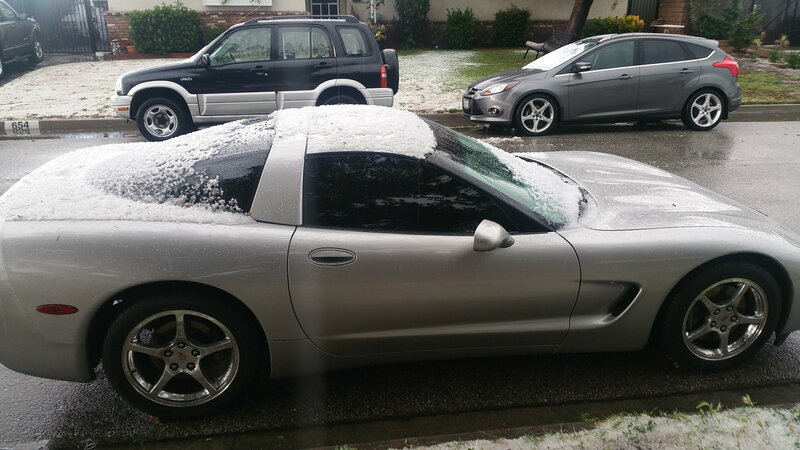 I have owned 10 new Corvettes over the years (and several other vehicles), but I can't remember ever owning ANYTHING that I ENJOYED driving in the rain? There are definitely many vehicles that are designed for and deliver better handling in poor weather conditions and off-road venues (Jeeps, etc). 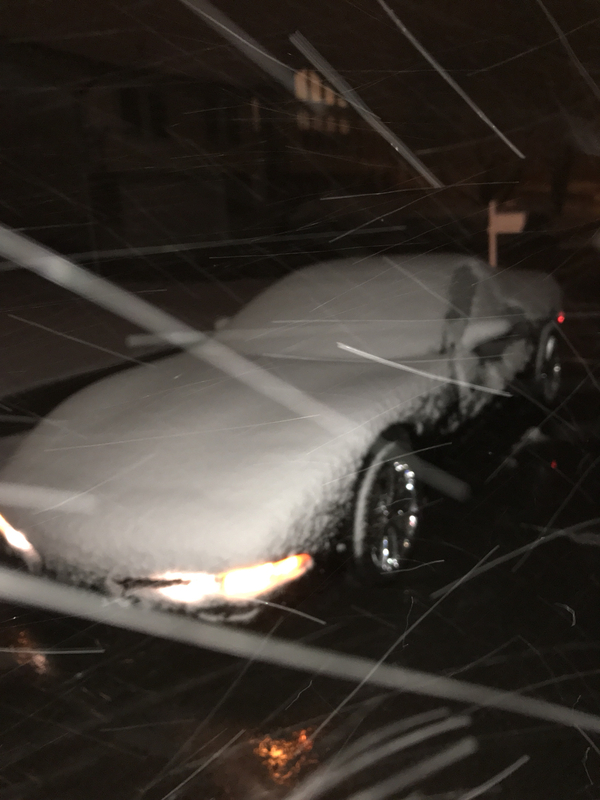 I don't think Corvette was ever designed to be a road warrior in bad weather? It is however designed to be driven safely in minimally wet conditions on decent roads, but a hidden pothole under water can easily take out a wheel/axle/suspension and heavy rain can hydrolock the engine if driven into a few inches of standing or flowing water. I have had my C5 for 16 years and I too work from home. When the weather is bad, I just stay home and keep it in the garage (and it is my only car). If I HAVE to get out in really bad weather, I just call a Taxi or rent a car for the day (cheaper than repairing the potential damage that can be caused out here from high winds blowing crap into the car or scratching the paint at a minimum). 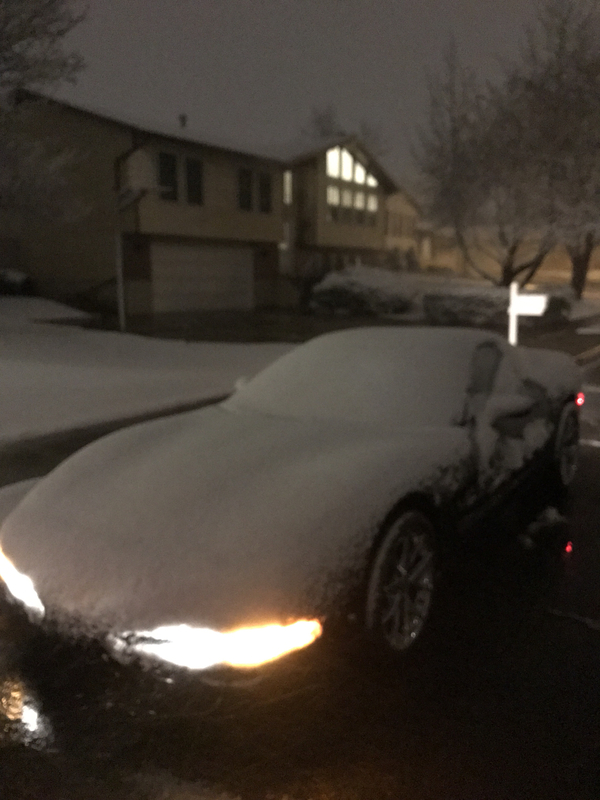 I have no problem driving the Corvette in the rain (if I have to), but I generally opt-out and order Dominos since it is not worth the many hours it takes me to detail the car again to keep it in showroom condition. 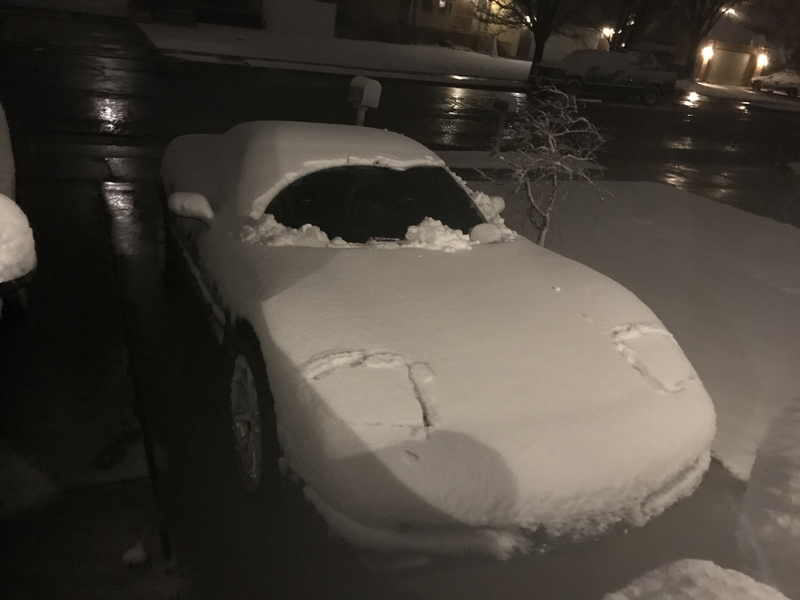 That said, for most people, I would not recommend it as their only or primary vehicle (any more than a Ferrari) and without a garage... never again (the weather pretty much ruined all of my previous Corvettes living at apartments when I tried to own them prior to having a home and a garage). But if I continue driving it through all conditions, I'm going to ruin the finish on this car unless I wash it every day or so and I am absolutely not going to do that. I lack the time, energy, or desire to do so. But I feel like yellow hides some wear better than black would so I concede that point (it's why I avoided black Vettes even though they look great). I guess in another 10 years or so of just sitting outdoors after probably being garage kept my yellow paint will fade considerably? My Vette was going to be my only car but I decided it just wouldn't be practical, so I have my truck now. Figured Spring-Fall on days it is not raining I would drive the Z06, if it's raining or come winter I'll drive the truck. Just depressing that weather keeps trying to ruin it, we'll get a day or two of sun and then 3-4 of rain. When my C5 was my daily driver (6yrs or so) i had no choice but to drive in rain or whatever... I have even been in tropical storms and whatnot. Quick Reply: Any way to enjoy the rain?